Join us on Sunday September 24th at 1:00, for a walking tour of Idylease. The Greenpond History Association invites you to a gathering at the Historic Landmark located at 124 Union Valley Road in Newfoundland, NJ. The tour will be hosted by Richard Zampella who is the current owner & operator of Idylease. 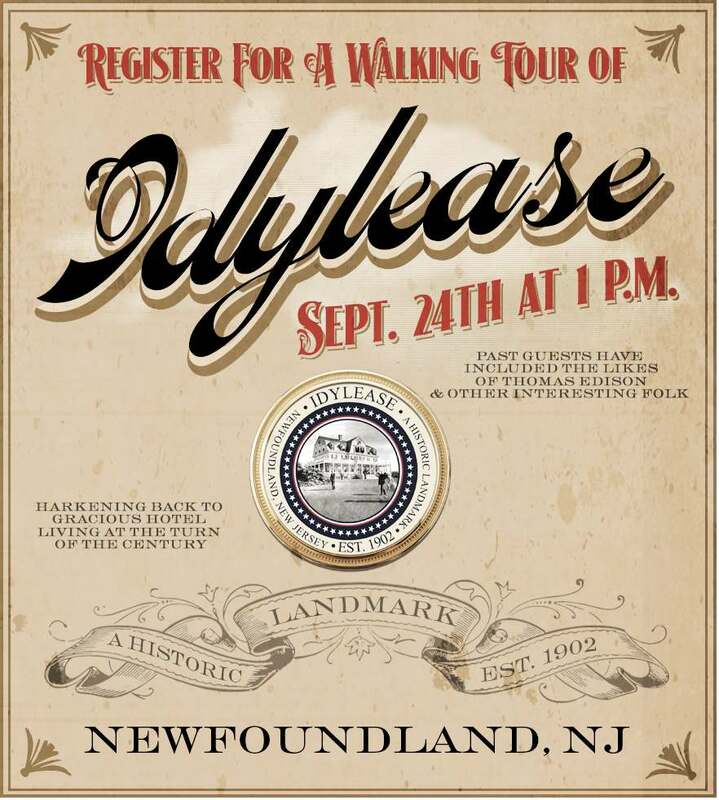 The tour will highlight the role Idylease played in the early history of tourism in Newfoundland. Reserving your spot is free of charge.